Toyota's vaunted Lexus luxury brand has fallen from first to fifth in Consumer Reports magazine's annual predicted reliability survey. Acura is currently ranked fourth. The top 3 spots are not "luxury" brands. An interesting note is that the top 5 positions are held by either Toyota or Honda. Mercedes-Benz was last among 36 brands. Other luxury brands at the bottom: Land Rover, Hummer and Jaguar. The magazine's director of automotive testing, blamed one model for Lexus' fall, the midsize GS that was redesigned last year. He said the car had problems in three areas — body integrity, defined as rattles or poorly fitting panels; body hardware, such as locks and trunk mechanisms; and the sound system. Mercedes, DaimlerChrysler's luxury brand, tumbled four places to the cellar, "a very poor showing for a very expensive car," Champion said. Mercedes' quality is so imperiled that a 9-year-old Lexus LS 400 has potentially fewer problems than a new Mercedes ML. Champion said of Mercedes: "They perform well, have great fit and finish. But they seem to have a lot of problems with the seven-speed automatic transmission in all their products, and power accessories and electrical systems." 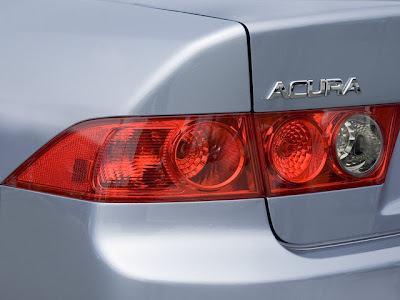 It is amazing to find that expensive Acura is LESS RELIABLE than cheaper Honda. Maybe Honda do not want their luxury brand to get too uppity? I don't think that's the case. Every manufacture wants their brand to be as reliable as possible, luxury brand or not. Plus, if that's your logic, than Toyota doesn't want their luxury brand Lexus to get too "uppity" also? It just doesn't make sense.